God has given each of us the responsibility to care for one another—here are four practical ways to build up the Body of Christ around you. When our church was without a pastor for two years, our congregation looked to the elders for spiritual help in times of need. Along with the other elders, I began counseling people with marriage and family problems, employment problems, and financial problems; helping people cope with an amazing variety of major and minor crises. Though I was carrying only a fraction of the responsibility for pastoral care, sometimes I felt overwhelmed. Clearly, the Bible teaches a “vertical” responsibility for caring within the Body of Christ (1 Pet. 5:2; Heb. 13:17). All of us expect our pastors to be available in times of death, critical illness, or other crises. Yet many pastors receive more requests for counseling and pastoral care than they could possibly handle. Some churches assign full-time staff just to counseling; others to a ministry of pastoral care. But while the New Testament clearly teaches this so-called vertical responsibility for caring within the Body of Christ, it has just as much, perhaps more, to say about the “horizontal” responsibility of caring for one another. The Scriptures command us to instruct, teach, admonish, encourage, stimulate, and build up one another. We are to pray for one another and carry one another’s burdens. We are to allow others to have a caring ministry in our own lives as we confess our sins to them and submit to their teaching and admonishment. Still another group of scriptures sets forth our responsibility to help one another physically and materially. I believe Christians have largely overlooked their responsibility to mutually care for one another. Perhaps this is one reason pastors and counselors are so overworked. If the rest of us took seriously our responsibility to mutually care for one another, the pastors and counselors would have more time to meet the truly urgent and critical needs within the body. What then is our responsibility to care for one another? One Old Testament passage has helped me organize my thoughts into four areas of responsibility in caring for others. While they are four distinct areas, there is a certain amount of overlap between them. Like the colors in the rainbow they merge into one another without sharp lines of division between them. Ecclesiastes 4:9–12 begins with the statement, “Two are better than one,” followed by four reasons why that is true. These four reasons are the four mental pegs upon which I hang my responsibility to care for others and to allow others to care for me. Two are better than one, because they have a good return for their work: If one falls down, his friend can help him up…. Also, if two lie down together, they will keep warm. But how can one keep warm alone? Though one may be overpowered, two can defend themselves. A cord of three strands is not quickly broken. We all recognize the validity of this principle. We’ve experienced it in ordinary life when a kind friend volunteered to help us do some unpleasant task. The job didn’t seem quite so bad and didn’t take nearly as long as when we had to tackle the same task by ourselves. But in the spiritual life it’s not just the difficult tasks in which two are better than one. The principle applies even more in the area of Christian growth; in understanding and applying the Scriptures to our lives. We are to teach and admonish one another and instruct one another (Ro. 15:14; Col. 3:16). As Solomon puts it elsewhere, we are to sharpen one another as iron sharpens iron (Prov. 27:17). And when we find ourselves on the receiving end of such teaching, admonishment, or sharpening we are to submit to one another (Eph. 5:21). Driving home one day in a snowstorm I found myself becoming anxious because I was due to leave the next day for a weekend speaking engagement. Our airport was closed because of the weather and the forecast was not promising. I’d been in this predicament numerous times before and each time I had become tense and anxious. 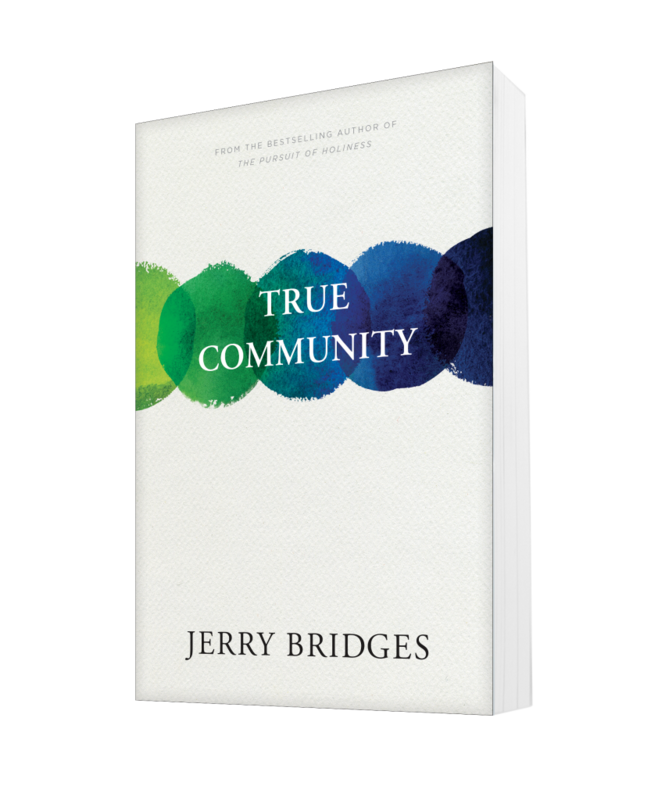 Dig deeper on fellowship and community with Jerry Bridges. Click the book to read chapter one. Arriving home, I announced to my wife that I had turned over my predicament to the Lord and that I was not going to be anxious about it. She smiled at me and said, “don’t be anxious, but pray about it.” I thought to myself, How could I so easily have forgotten a very fundamental scriptural truth? That’s exactly what Paul tells us in Phil. 4:6. I was applying only half a truth. Concentrating so intently on God’s sovereignty, I had forgotten my responsibility to pray that God would indeed clear out the storm. I needed someone to help restore me to the scriptural balance. I needed to be sharpened. Apollos needed to be sharpened, too. He had a thorough knowledge of the Scriptures and spoke accurately and with great fervor about Jesus, but he didn’t know the gospel. Priscilla and Aquila invited him home and explained the way of God more accurately. They sharpened him (Acts 18:24–26). 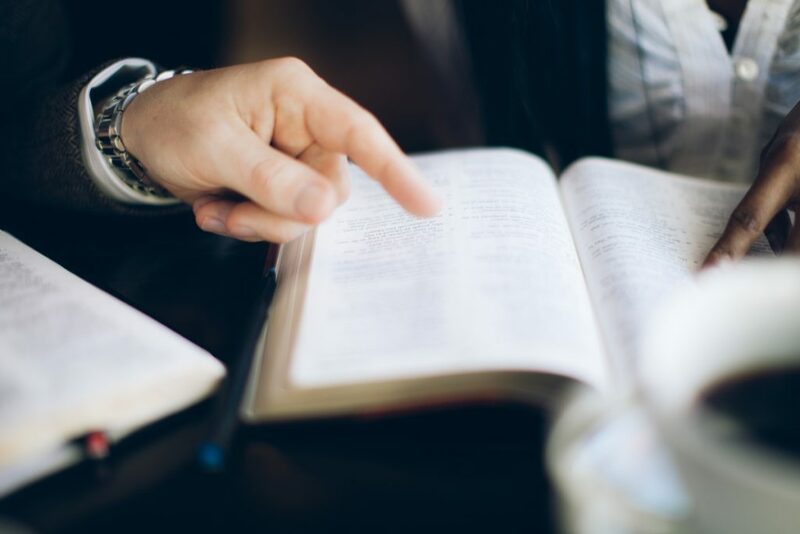 All of us, at various times, need someone to sharpen us, to help us understand the Scriptures more accurately or apply them better, or to keep us from getting off balance on some truth. But this is delicate work. Though we all need this sharpening, we all resist it because of our fragile self-esteem. Therefore, sharpening must be mutual and must be done within an atmosphere of caring for one another. Most of us are familiar with the concept of “speaking the truth in love” (Eph. 4:15). It is usually applied in a subjective way, that is, of loving confrontation about a need in another person’s life. But the context indicates it is the truth of Scripture that Paul had in view. We are to speak the truth of Scripture, sharpening one another in love, so that we may grow together. The second reason two are better than one is, “If one falls down, his friend can help him up” (v. 10). This passage speaks to me of encouragement, one of the greatest needs in the Body of Christ today. Of the ten passages I have found that speak about caring for one another, four of them tell us to encourage one another (1 Thess. 4:18, 1 Thess. 5:11; Heb. 3:13, Heb. 10:25). To encourage is to inspire another with courage. Courage is the mental or spiritual strength to persevere in the face of difficulty. So to encourage someone is to fortify that person with the spiritual strength to persevere in spite of hardship. 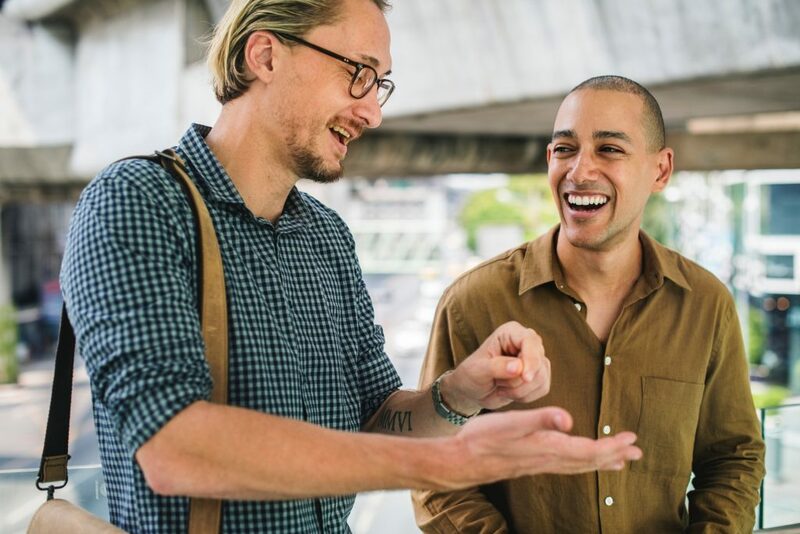 The Greek word translated as “encourage” in the New Testament communicates the idea of one person standing alongside another giving appropriate counsel. The writer of Hebrews, who twice tells us to encourage one another, beautifully illustrates his instructions with his own example. He tells his readers, “So do not throw away your confidence; it will be richly rewarded. You need to persevere so that when you have done the will of God, you will receive what he has promised” (Heb. 10:35–36). His readers were facing severe pressure to turn from their faith. Many of them were suffering persecution; some had been thrown into prison, others had had their property confiscated. They needed encouragement from him, but they also needed to encourage one another. The Body of Christ needs encouragers today. Most of us in the Western world are not facing the severe trials that the Hebrew Christians faced, but many in the body are discouraged because of other conflicts. Some face marital difficulties, others have heartaches over rebellious or spiritually indifferent children. Some face demotion or even loss of their jobs. Many are wondering if God truly cares for them, and they certainly don’t believe that any other person cares. They would readily agree with the psalmist who lamented, “No one is concerned for me…. no one cares for my life” (Ps. 142:4). So we need to learn to encourage one another. We must not depend solely on our pastors or other spiritual leaders to do this. We must also do it ourselves. But we must remember that to encourage is to fortify one another with the strength to endure. It does not mean to commiserate with one another over our respective trials and difficulties. As Paul says elsewhere, we are to speak only what is helpful for building others up, according to their needs (Eph. 4:29). So as we care for one another we must demonstrate care and compassion, but not pity. The other person must know we care, but more importantly, he or she must know that God cares. That is the objective of encouragement. One of my friends used to refer to the mutual stimulus of a small band of men and women ministering together as the “warmth of the pack.” My favorite illustration of this principle is the charcoal briquettes in a backyard grill. When you want to get the charcoal hot enough to cook meat, you pile all the briquettes together. If one briquette is removed from the pile, it quickly loses its heat. We are much like the charcoal briquettes. Left to ourselves, our zeal for Christian service quickly dissipates. We need to be constantly stimulated. Note how the writer of Hebrews again illustrates his teaching by his own example. In chapter 13, he spurs his readers on with such exhortations as, “Do not forget to entertain strangers…. Remember those in prison…. do not forget to do good and to share with others” (vv. 2, 3, 16). Just as the writer of Hebrews sought to stimulate his readers, he also urged them to stimulate one another. In fact he says, “Let us consider how we may spur one another on….” The phrase in the Greek language carries the idea of constantly giving careful attention to ways in which we could encourage others. Think what obedience to this instruction could mean in our churches and other Christian ministries! What if, instead of a pastor or the leader of a campus ministry always having to exhort his flock, the flock was always exhorting one another? Think what might happen if, instead of the pastor urging us to be more active in evangelism or to give more to missions, we urged one another. 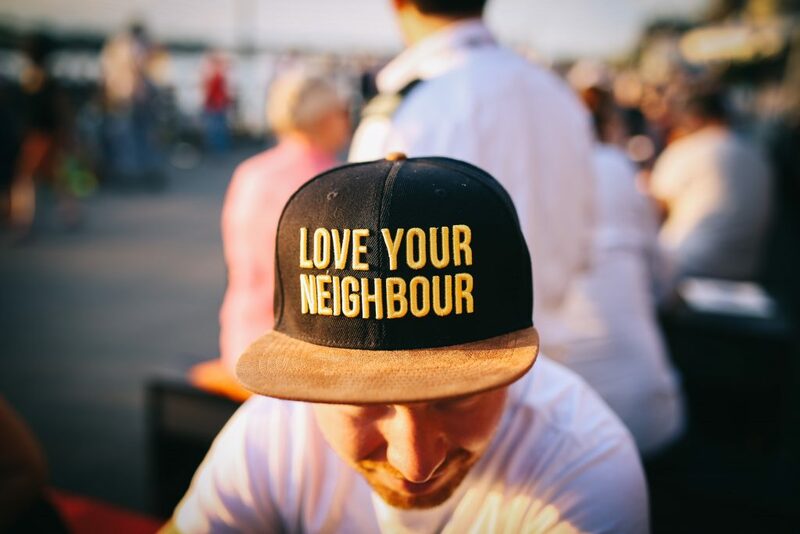 Think what might happen among a campus ministry if the students took the initiative to stimulate each other to doing deeds of kindness rather than having to be challenged repeatedly by the campus ministry leader. But this is exactly what we are supposed to do. We are to stimulate one another. The fourth reason why two are better than one is that, “Though one may be overpowered, two can defend themselves” (Eccl. 4:12). I believe it was Martin Luther who first coined the phrase, “the world, the flesh, and the devil.” We are all subject to attack from all three of these enemies, and we need each other to defend ourselves. That is why James tells us to “… confess your sins to each other and pray for each other so that you may be healed” (Jas. 5:16). Of the four aspects of spiritual care for one another, this one is probably the most difficult. It is difficult because we are afraid to be vulnerable enough to allow someone else to see our struggles and temptations, let alone our sins and failures. We need to realize, however, that Scripture calls for a mutual relationship, a mutual openness and praying for one another. If I expect to help someone else defend himself against temptation or the attacks of Satan, I must be willing to allow him to help me. How do we help each other defend ourselves against temptation or Satan’s attacks? James 5:16 gives us two necessary weapons: openness with one another and prayer. A third important weapon is accountability to one another. Accountability in a “mutual defense pact” is simply an agreement to allow ourselves to check up on each other. Suppose I am having difficulty getting up in the morning to have my quiet time. I allow you to regularly ask me how I am doing, or I might even ask you to call me every day at 6 a.m. to see if I am up and going. Openness, accountability, and prayer must all have equal weight in our defense of each other. Openness alone will eventually result in an ungodly acceptance of the status quo. We may become comfortable sharing our sins and failures and lose any motivation to change. Accountability without prayer results in legalism, seeking to please or win acceptance with another person. There is also the danger of exerting a spiritual authoritarianism over those who have become accountable to us if we are not wrestling in prayer on their behalf. 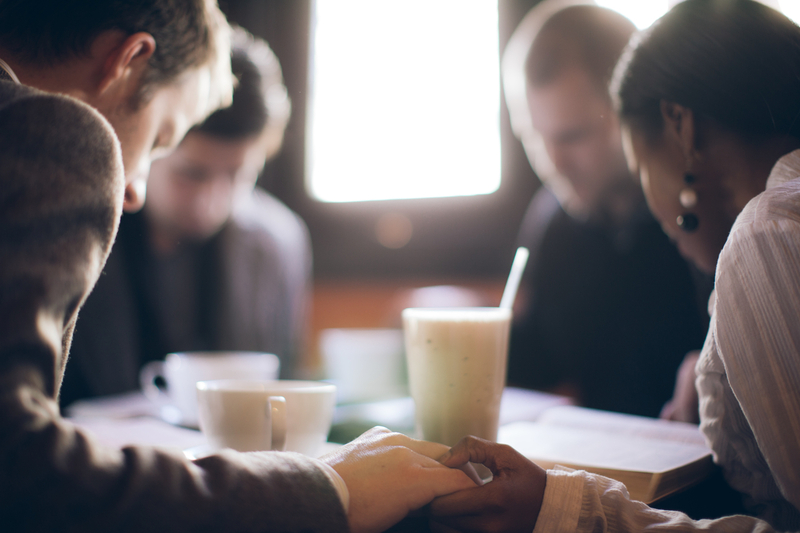 Prayer without openness fails to deal with the real issues in each other’s lives. Prayer without accountability fails to recognize both the divine and the human element in spiritual warfare. Nehemiah, when faced with the probability of an enemy attack, “prayed to … God and posted a guard day and night to meet this threat” (Neh. 4:9). Accountability is “posting a guard.” We need prayer and we need to post the guard. It is important to realize that none of these four ways of caring for one another requires a crisis situation. Rather, we are to care for one another on a daily basis. Quite possibly, such daily caring would avert a lot of crisis situations in the body. 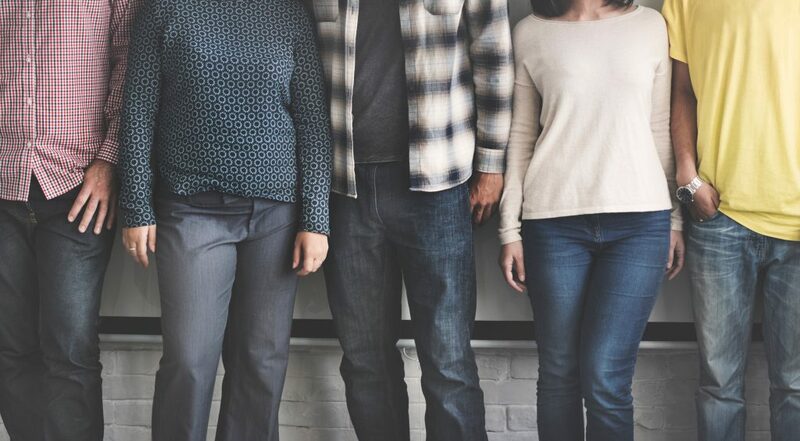 Neither are these four ways of caring a reactive ministry, waiting until others come to us for help, or until their needs for care become obvious. Rather, we are to take the initiative to care for one another. This means we need to develop a spiritual “radar” that is constantly scanning to locate those who need spiritual care. It means we must take a genuine interest in the welfare of others, as well as looking out for our own interests (Phil. 2:20–21). The New Testament teaches us that spiritual caring within the body has both a vertical and a horizontal dimension. Yet in too many cases, the vertical dimension is overloaded, almost to the point of breaking down. I believe this is because the horizontal dimension has been so neglected that it has become almost nonexistent. We must restore this dimension so that the whole body will build itself up in love as each part does its work (Eph. 4:16). This article was originally published in issue 36 of the Discipleship Journal. Jerry Bridges was a well-known Christian writer and conference speaker. His best-known book, The Pursuit of Holiness, has sold over 1.5 million copies. He joined the staff of The Navigators in 1955, serving 60 years as a staff member in various capacities before transitioning to associate staff and serving within the collegiate ministry. Jerry passed away in the spring of 2016. Dive deeper on fellowship in his book True Community. Read chapter for free here.